A female JSS2 student, age 14 of Sheikh Abdulkadir Secondary school, Ilorin, Kwara state, was rushed to the hospital after she was mercilessly and brutally tortured for failing to pay her school fees in Febuary 2018. 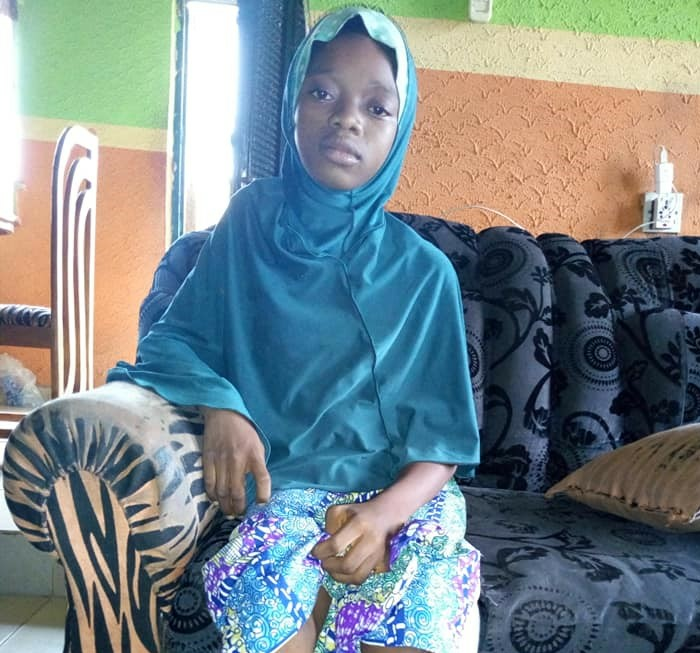 According to Haishat Yetunde, as a consequence of the punishment and flogging, the teenage girl identified as Suliat Abdulganiyu - saw her tibia shift from her fibula, before getting infected and resulting to Osteomyelitis (a form of bone infection). Her femur is cracked and she has an increasing film of infection around the bone.